There are many ways to encourage your child to enjoy science and learning about the world around her. Speak with her Pembroke Pines pre-kindergarten teachers about different educational tactics, and speak with your child about different ways she would like to learn. Perform experiments with each other and have fun researching different topics. 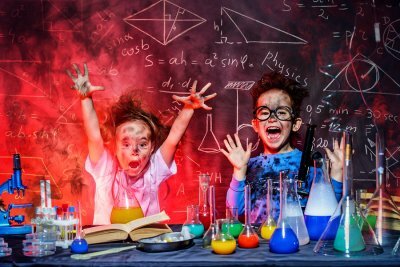 Read on for more information about how to raise a young scientist. Children are naturally curious and always have questions about how the world works. This natural curiosity is a great gift for your child, so encourage it however and whenever you can. Answer your child’s questions and engage in a dialogue to begin developing her critical thinking skills. If you do not know the answer to a question, then take the opportunity to research together. Ask her pre-k teacher, check out library books, and search websites on the internet. This experience will show your child the value of research and learning. Many people speak down to children, because they believe children will not or should not understand an adult conversation. However, children are much smarter than some adults give them credit for, and they can understand complicated situations in much simpler terms. You can help your child foster her communication skills early by speaking to her with eloquence. Treat her like an equal and do not shy away from large words or complicated terms. There are so many science experiments that can be done at home or in your child’s pre-kindergarten class. These activities are fun and engaging, and you can create a dialogue about how different scientific elements work. For example, you can grab a variety of items and see which ones will float or sink in a bucket of water. Have your child guess which object will float or sink and have her place each one in the water. This can be a wet and silly experiment that will also teach your child more about water and how it reacts to everyday objects.